A great one-night itinerary for travelers with young sightseers. 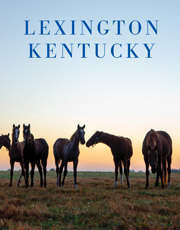 The Kentucky Horse Park thrills all ages, and youngsters will particularly enjoy the interactive exhibits. This could be a full day of fun; start as early as you can! 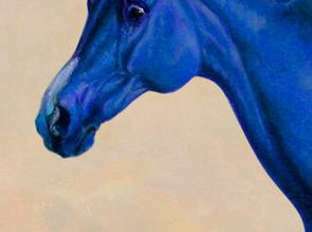 It&apos;s even possible to do a little horse back, or "pony" back, riding most of the year. The casual atmosphere and homey cuisine of Ramsey&apos;s Diner makes it a perfect place for kids. They can order a peanut butter and jelly sandwich while you try authentic home cooking. End your day with dessert and book browsing at the two story Joseph-Beth Booksellers. Their children&apos;s section alone is as big as many entire book stores! Head to Keeneland Race Course to see the Thoroughbreds at their early morning workout: the kids can get right up to the rail. Horses are exercised on the track year round and visitors are welcome. Then walk over to the Track Kitchen for a breakfast that is hearty, and Southern, and inexpensive. Across from Keeneland is the Aviation Museum of Kentucky, just behind Bluegrass Airport, where children can see vintage airplanes and experience a flight simulator. Or, head downtown to Lexington&apos;s children&apos;s museum, the Explorium of Lexington with more than 100 hands-on exhibits. Joe Bologna&apos;s will provide a tasty Italian lunch in an interesting setting. Their pizza is divine and the bread sticks have to be seen to be believed. After lunch, take a stroll through Thoroughbred Park at Main Street and Midland Avenue. 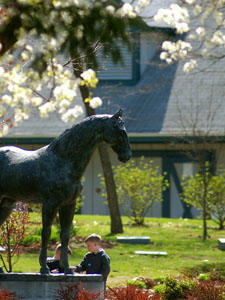 Kids LOVE having their picture taken with the many life-size statues of Thoroughbreds. To round off the afternoon, treat everyone to a free tour at Old Kentucky Chocolates.